Wastech Controls & Engineering offers a full staff of engineers and trained technicians to support the operation and maintenance of all of its equipment, as well as local service representation at key locations throughout the U.S. Even so, any interruption in your process due to technical issues can be costly. With this in mind, Wastech has launched SkidLink – Remote System Monitoring & Service. 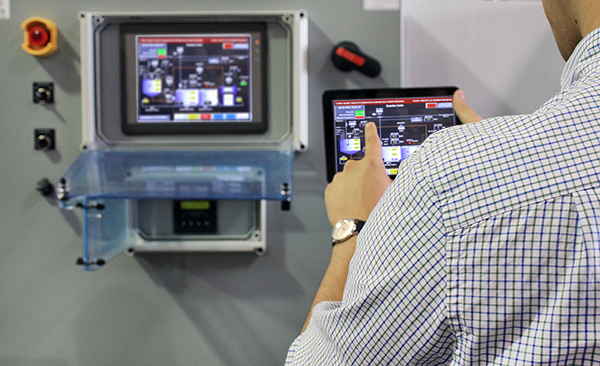 Available as a factory installed option on new systems, or as a simple retrofit for existing systems that can be installed by your own personnel, SkidLink allows real time, wireless access to your system’s PLC and HMI from any laptop, tablet or smartphone with an internet connection. 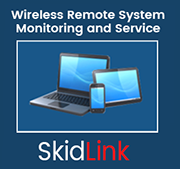 SkidLink enables operators to remotely log into their system’s PLC and HMI through a secure, password protected website and perform a variety of functions that could only have been performed by onsite personnel previously. Should you choose, Wastech service personnel can access and troubleshoot your system as well, in many cases eliminating the need for an actual site visit by diagnosing and correcting problems remotely. Whether you choose to utilize SkidLink for standard operational functions such as early alarm warnings and email delivery of data logs, or take advantage of the full range of remote service and support options Wastech’s trained technicians can offer, SkidLink provides you with security and peace of mind putting your system’s controls at your fingertips from anywhere in the world. Access from nearly any device- PC, Mac, smartphone, tablet, etc.